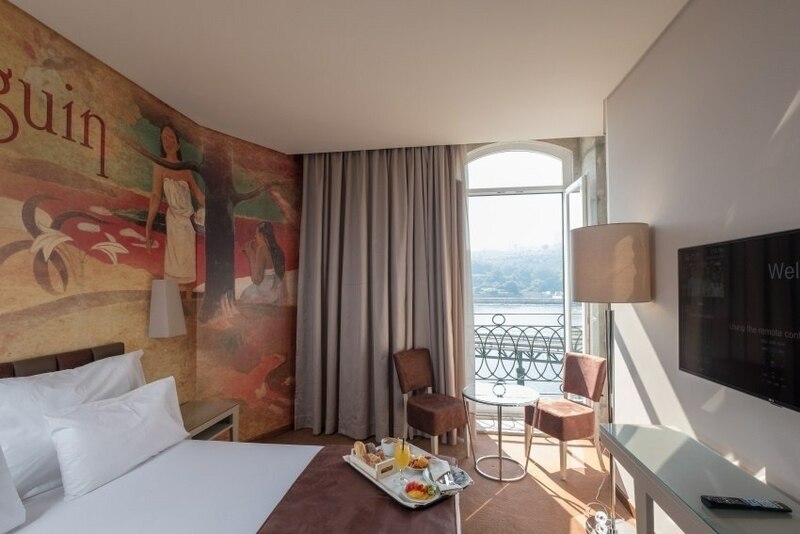 Such is the Vila Galé Porto Ribeira, a boutique hotel in the Vila Galé group, which opened in the riverside area of Porto and presents a 'paper free' concept. Paper has been replaced by 'mobile' solutions, and the relationship with guests and suppliers is made using tablets, smartphones, bedroom televisions and email. The use of technology aims to ensure greater sustainability and efficiency, without neglecting simplicity and an easy and intuitive use. This new four-star hotel results from the renovation of four buildings at Cais das Pedras, near the Alfândega, in an investment of more than five million euros. It has 67 rooms, 14 of which overlook Douro. The unit, whose theme is painting, distinguishes rooms and common areas with art works from Renaissance to Contemporary. Speaking about Art, the hotel also has an Almada Negreiros lounge. This area includes the bar, with a terrace next to the river and an indoor patio. "Vila Galé Porto Ribeira is another hotel that has given us great pleasure to open, because, once again, we rehabilitated heritage that was very degraded, but respecting Cais das Pedras' urban profile, an area with immense tourist potential and a fantastic relationship with Douro river," Jorge Rebelo de Almeida said in a statement. The Board chairman refers choosing painting as a theme "is a way of honouring Portuguese painters and strengthening our line of theme hotels", adding that the group wanted to innovate, introducing a concept "that contributes to the environment preservation and that responds to the needs of our customers, who are increasingly attentive to technology and sustainability."